If someone offers you something for free, you're likely to take it if it's of interest to you. Let's say that a company like Amazon said you could have free shipping on their goods. You'd take them up on the offer if you were a frequent user of Amazon's marketplace and saw the deal as a way to save some money. Would you then be shocked when your credit card was billed for Amazon Prime after a month of free Amazon Prime? You would if you didn't read the fine print, which many people do not. If they did, it's less likely that Amazon and other corporate entities would bother promoting the free trial period. 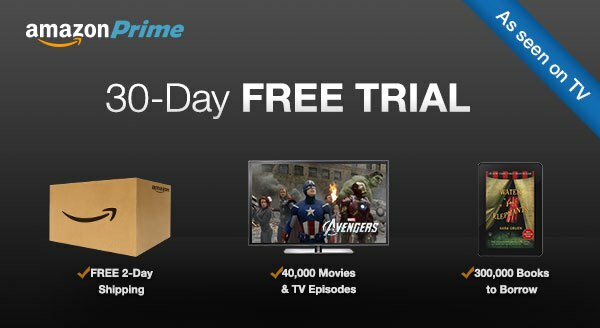 What good does it do you to have free Amazon Prime if you have to watch the clock very carefully to be sure to cancel the thing before Amazon could start ringing up charges that you would have to pay because, well, you did agree when the offer was made. British citizens read about as far as the part where Amazon said "that's all there is to it". Sign up, and that's it? All right then. Six people complained about the misleading offer. They accepted thinking the thing was free for a month and would then just go away. Instead, Amazon charged them for not cancelling the membership because it did not go away but became a regular, paid service. Just six people, and it was enough for the Advertising Standards Authority in Great Britain to ban the advert. In the minds of the authorities, the language was not clear enough to make potential clients realize that once they signed on, they were there for life if they did not take action. The implication, of course, is that Amazon was trying to trick people into parting with their money, and that will not be permitted in Her Majesty's realm. If Amazon wishes to try again, it will have to rewrite the offer so that it is made quite clear to the consumer that the free offer does not automatically cancel. Oh, yes, and Amazon will have to spell out right there in the advertisement that the consumer is going to be charged seventy-nine British pounds per annum. That little item was also missing from the original offer, and only showed up after a person had gone online to accept the offer they thought was thirty days for free but was more like an indenture for life. How likely is that sort of highly informative ad copy expected to reel them in like hungry fish? If you spell out the details, you'll just create more sceptics who will determine that there is, in fact, no free lunch. Or free Amazon Prime.